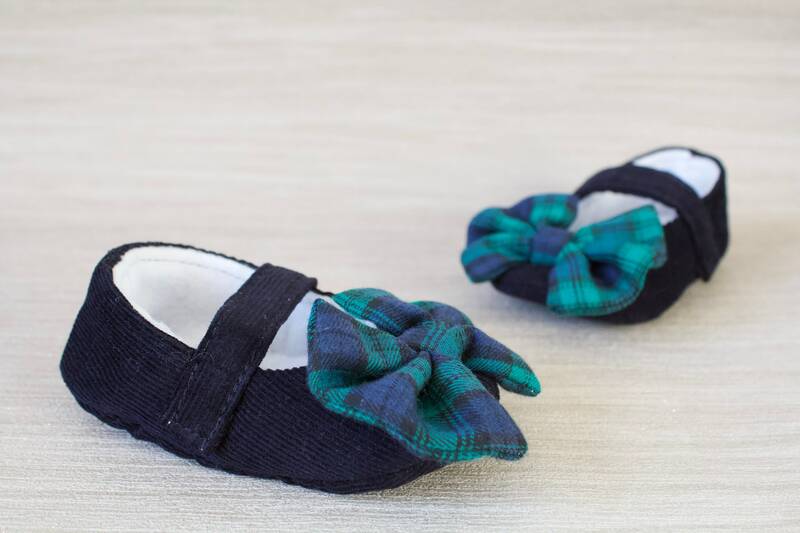 Baby girls shoe, baby shoe, baby shoes girls, mary jane baby shoe, christmas party shoe, baby party shoe, navy corduroy and tartan shoe. 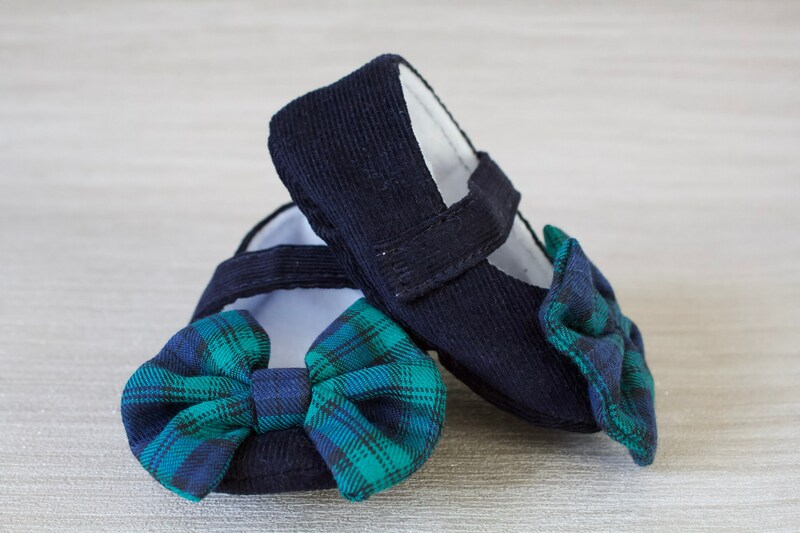 The sole of the shoe is a soft but durable faux suede In between the sole and insole I have added a little padding for extra comfort. The lining is white cotton. 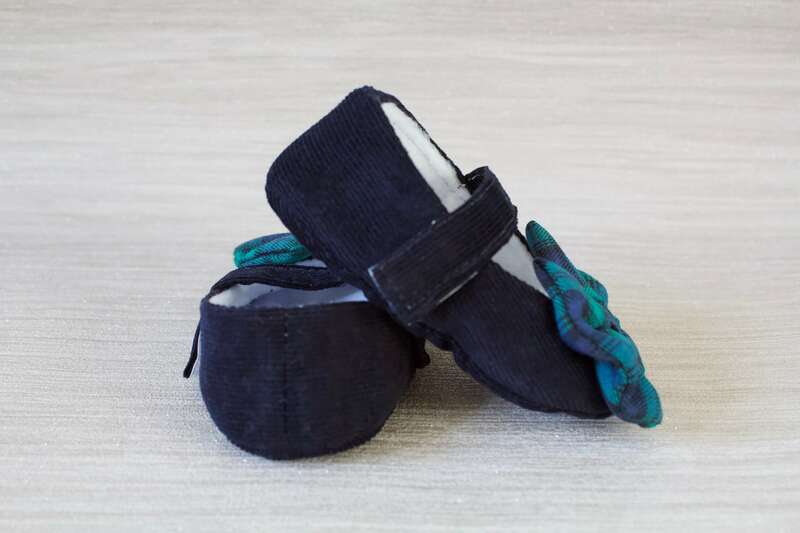 These are easy to get on and off your little princesses feet as I have added a Velcro fastening to the strap. 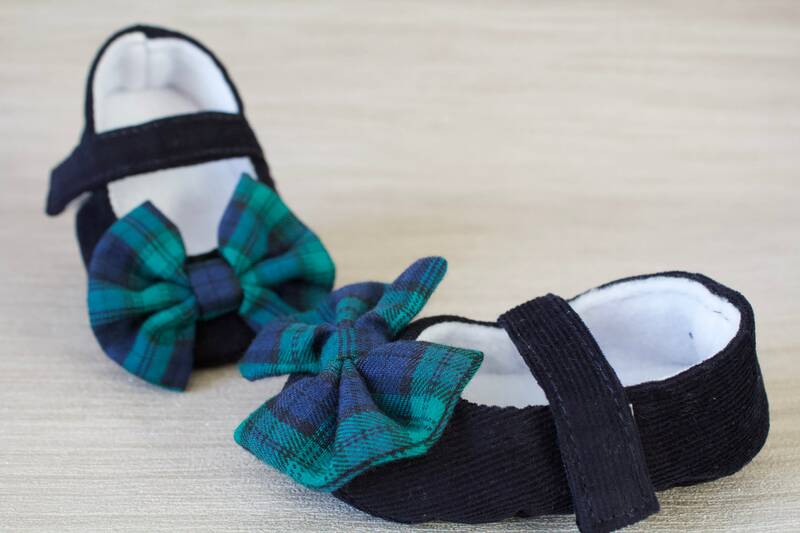 Soft sole shoes help to promote healthy development of your little ones feet as well as their balance and coordination. 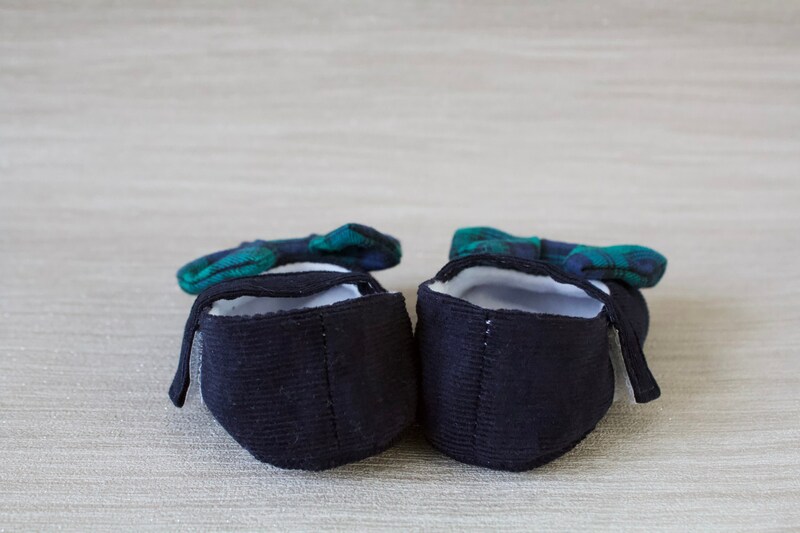 Each pair of Dotty Robin shoes are hand made with care and attention to detail with all seams concealed for extra comfort. (1/4 inch) to allow for wiggling toes and growing room. If in doubt go up a size. 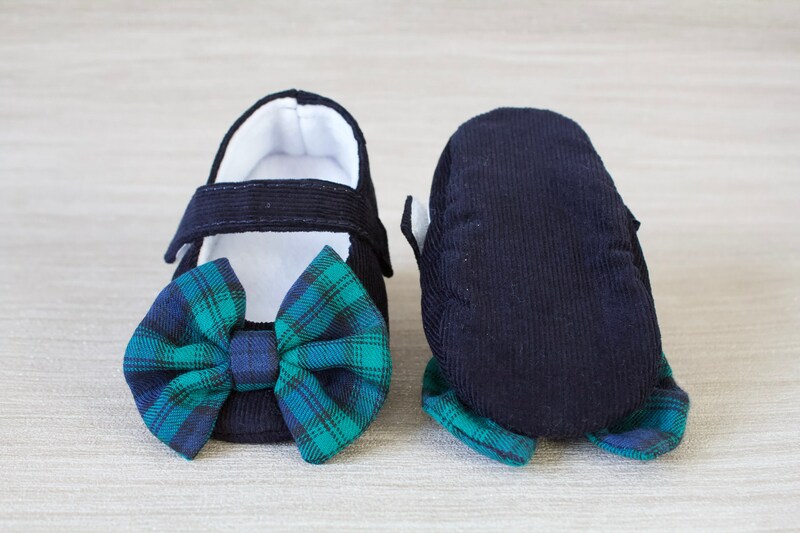 The sizes given are the average length of babies' feet. 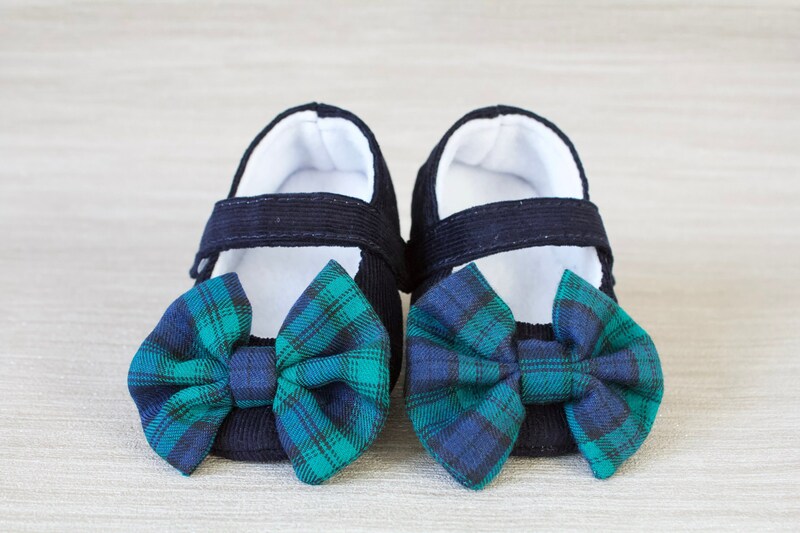 Because each child is unique and shoe sizes are not universal, measuring the foot is more accurate than going by age or shoe size. All Dotty Robin shoes are designed, hand cut and hand crafted In Oxfordshire England. 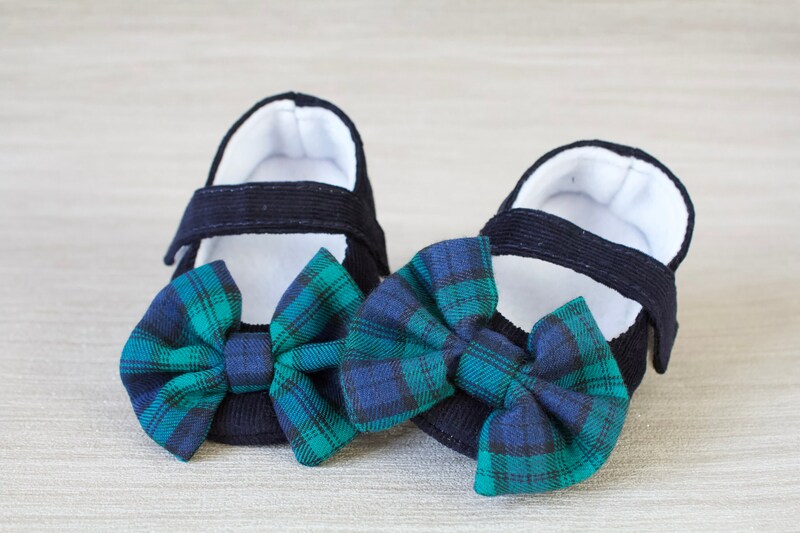 *Please note that all care and attention has been taken to hand stitch any embellishments onto my shoes.